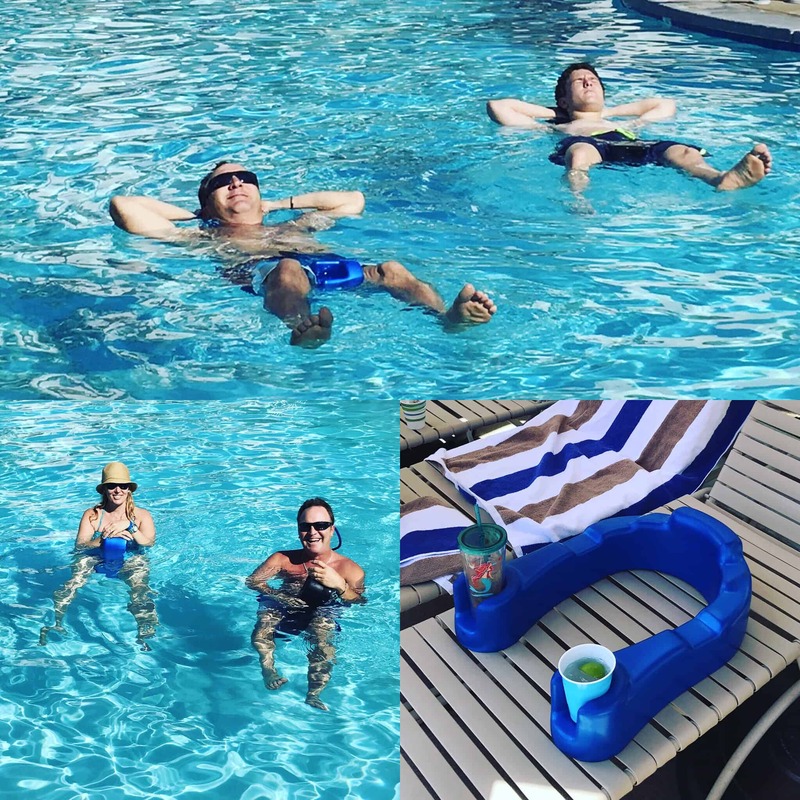 Get “SAVINGS” with a Thang or two. 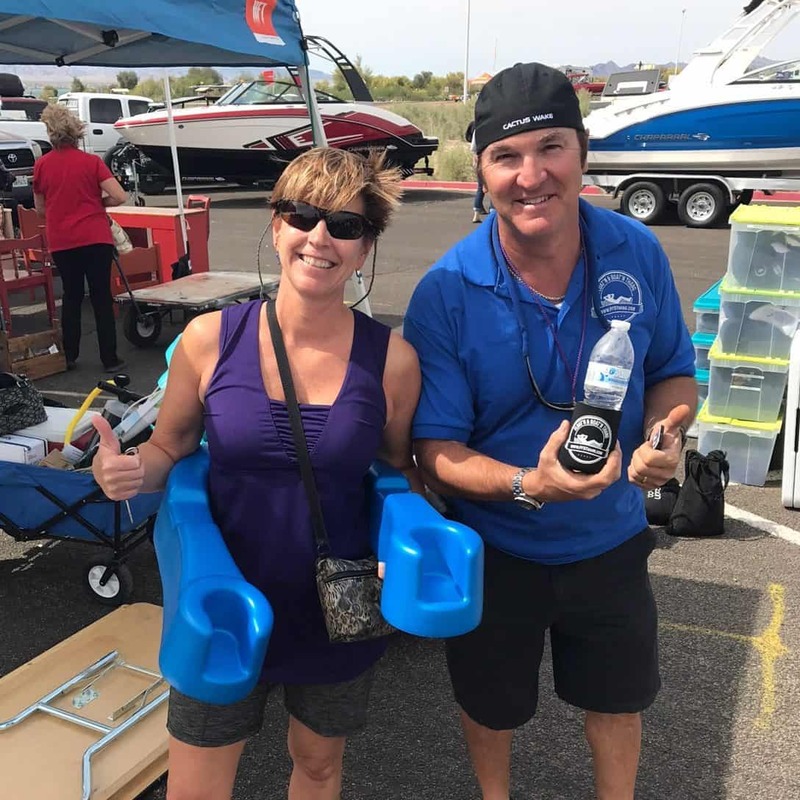 Be sure to check out our videos under the blog menu. 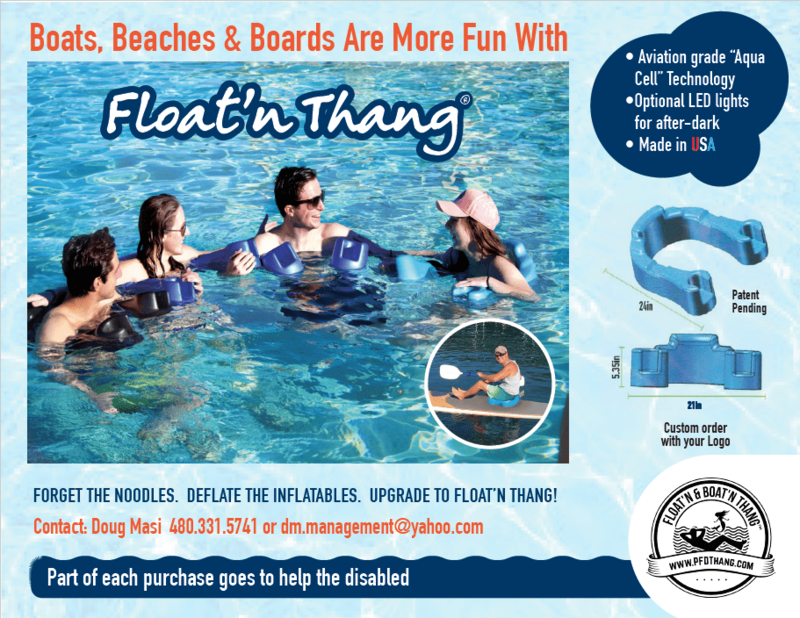 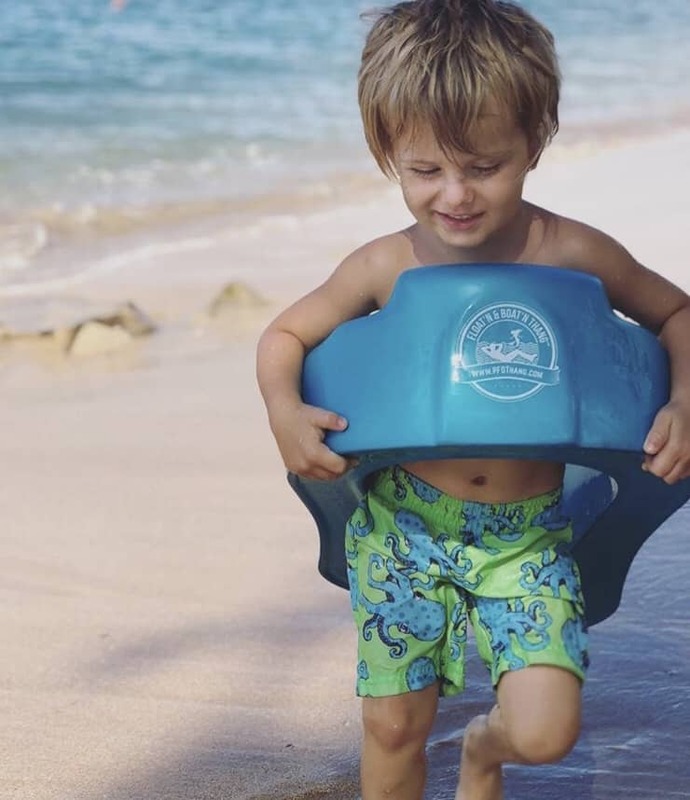 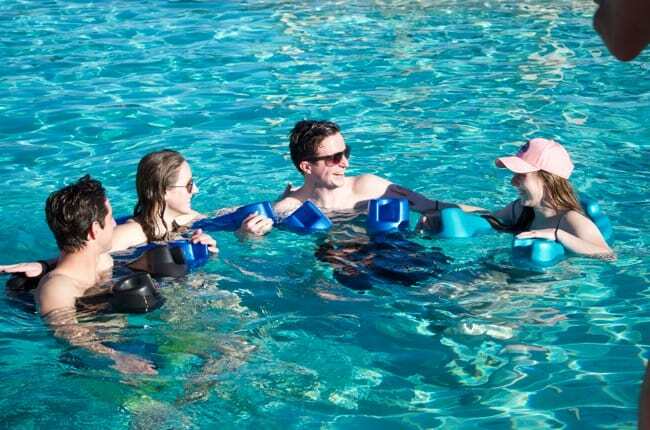 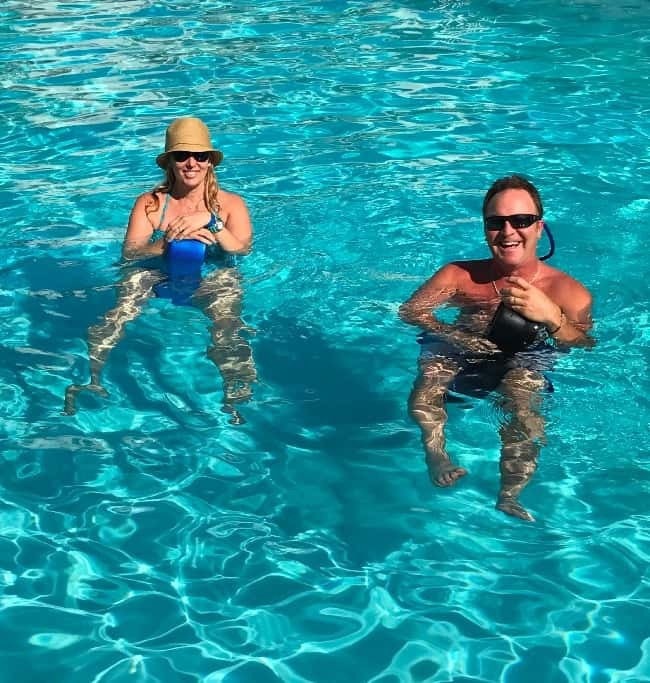 The FloatnThang™ is a custom designed simple to use personal flotation device and booster seat in one. 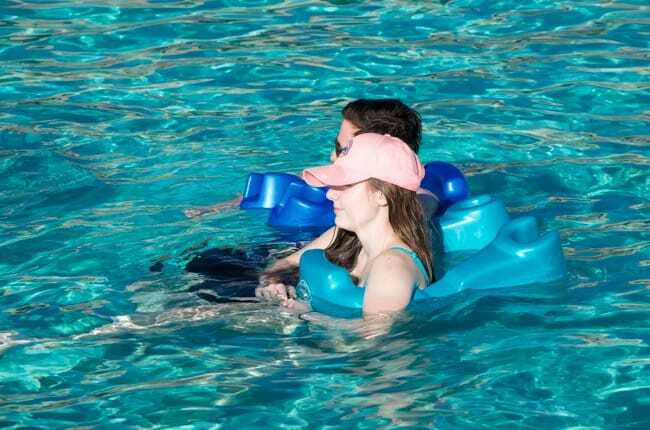 Multi-purpose flotation device giving the user a unique way to float from an upright position to fully floating on their back. 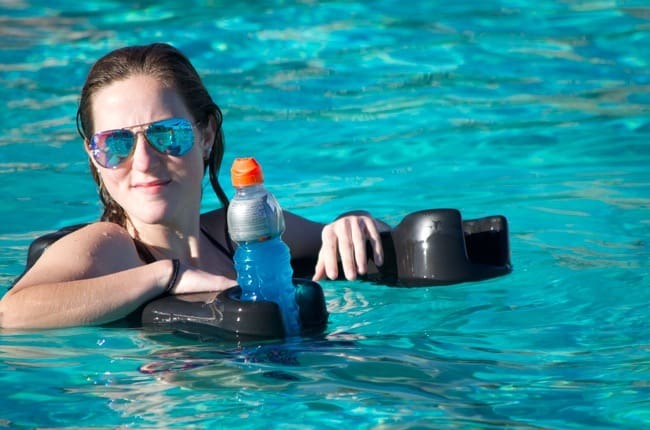 The patented process of the flexible arms (on the device) allows for this creative way to float. 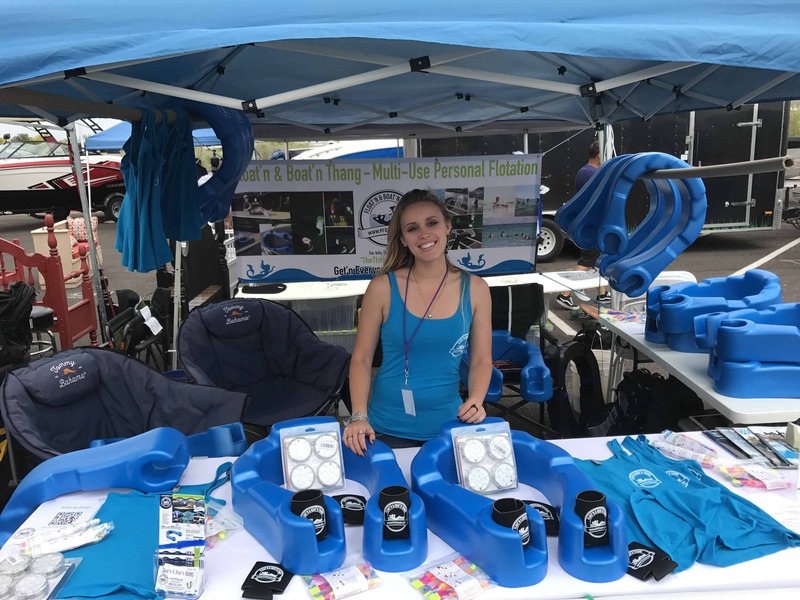 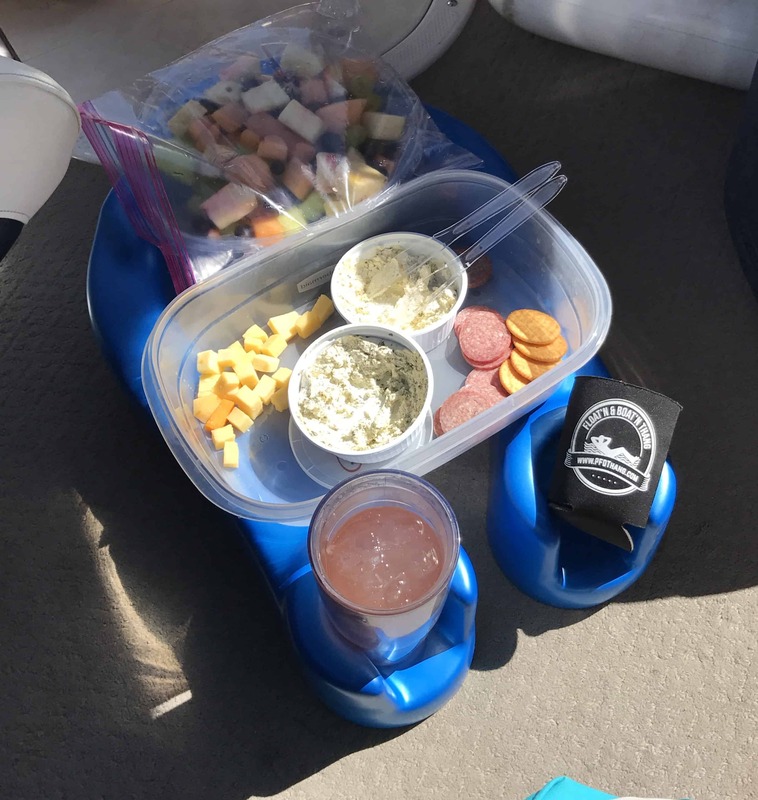 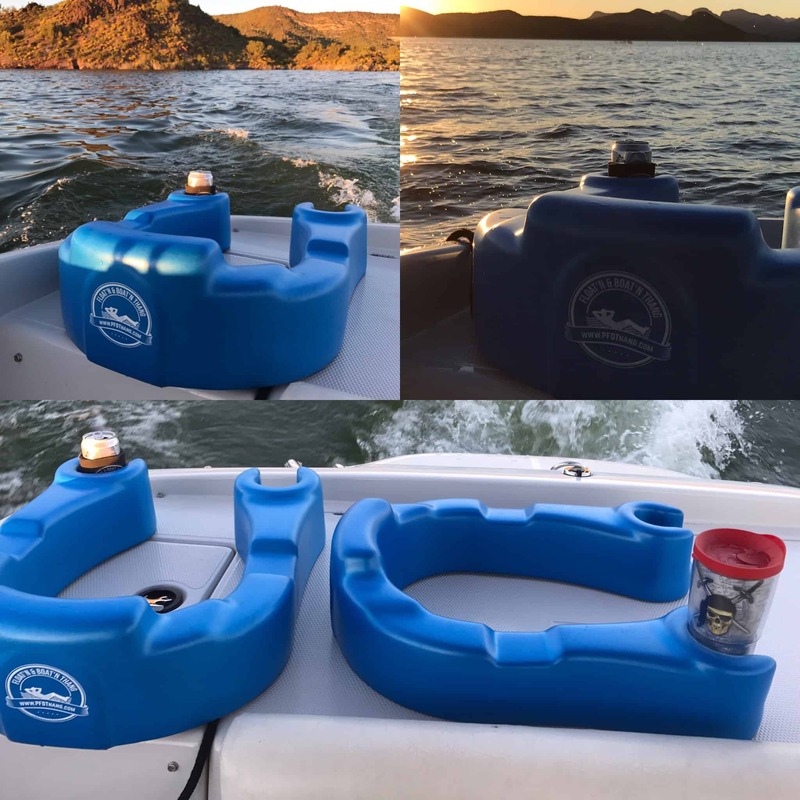 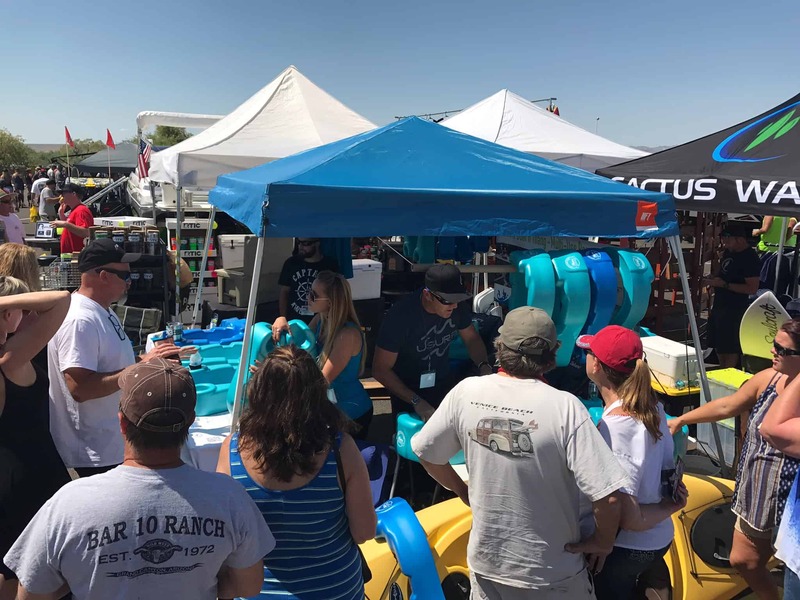 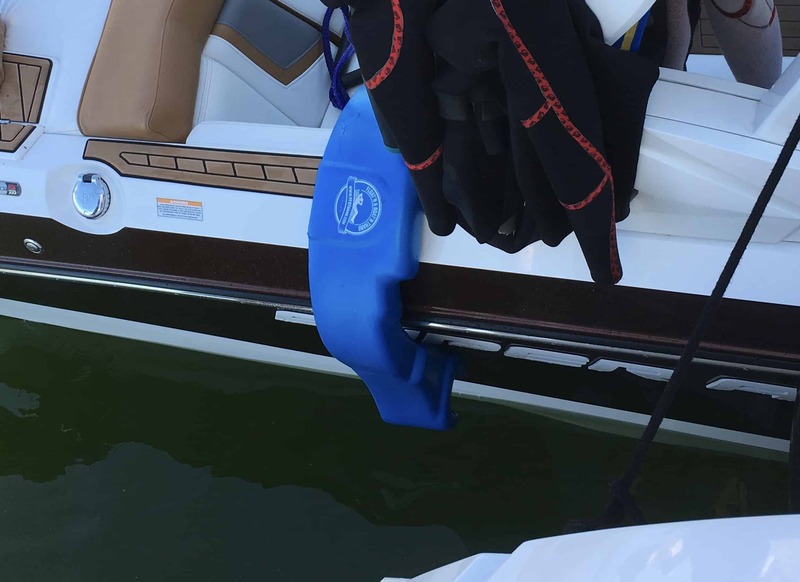 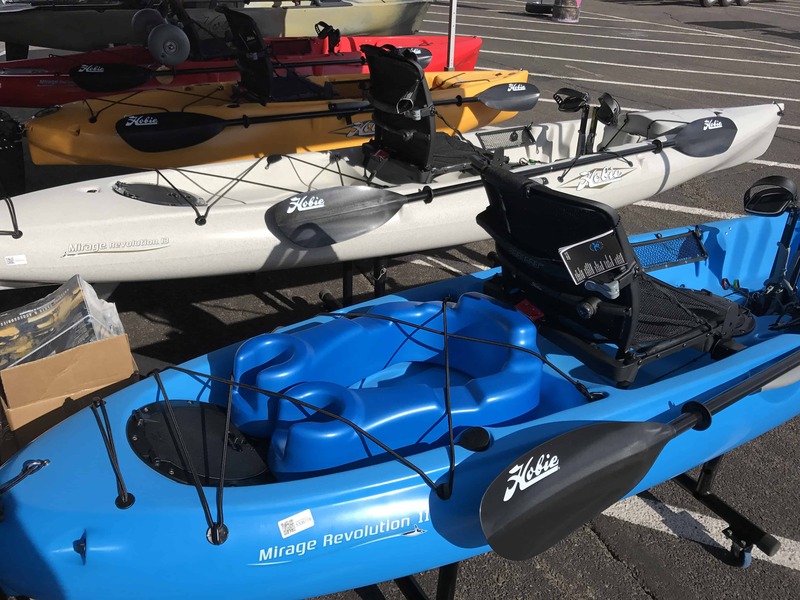 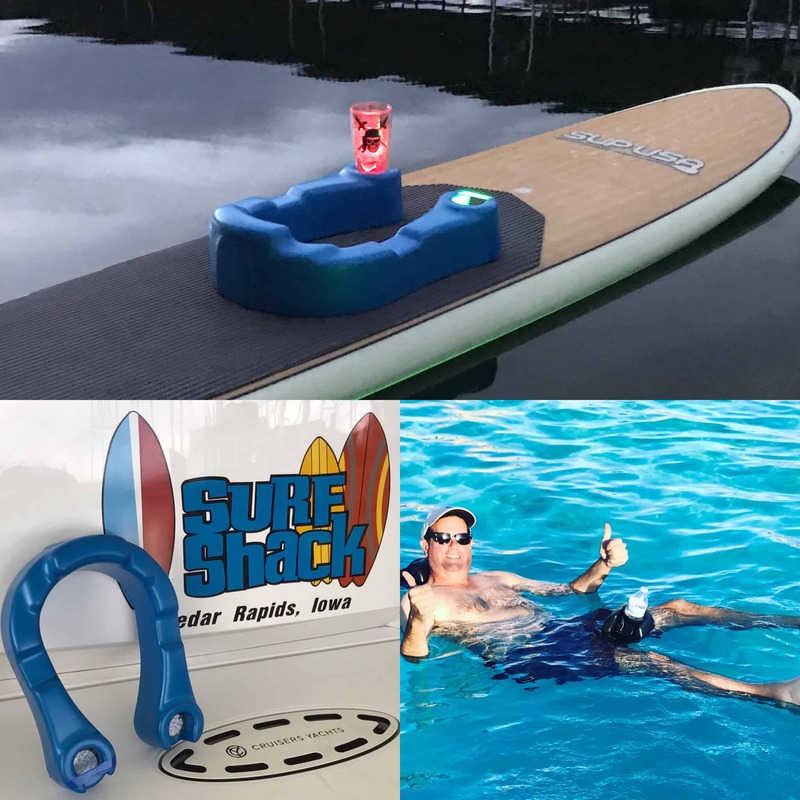 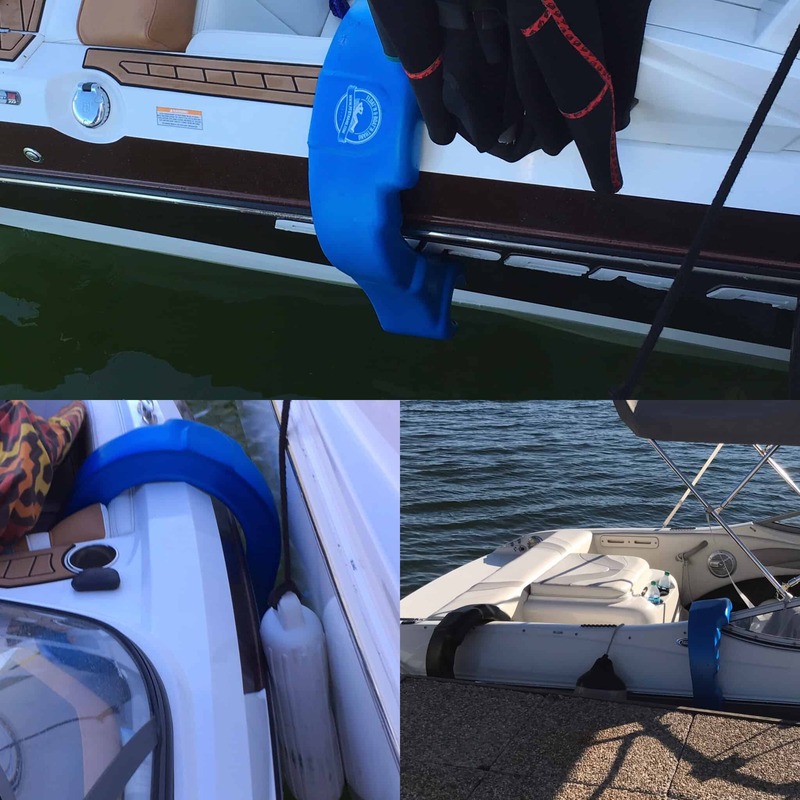 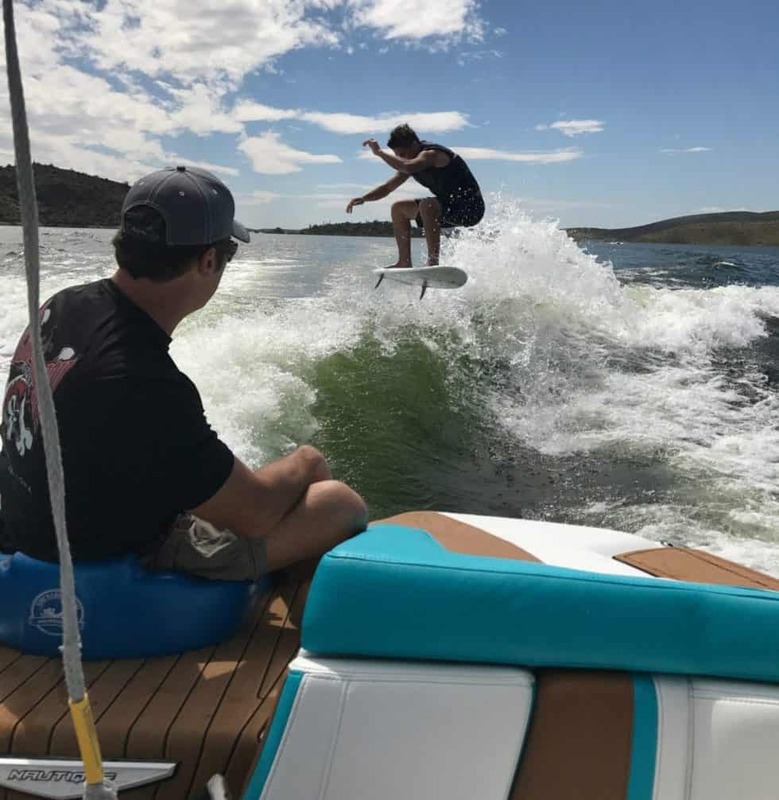 It also acts as a booster seat on a paddleboard, with built-in (2 way) beverage holders, provides instant flotation, and can provide a solution for boaters to deploy in seconds as a temporary boat bumper. 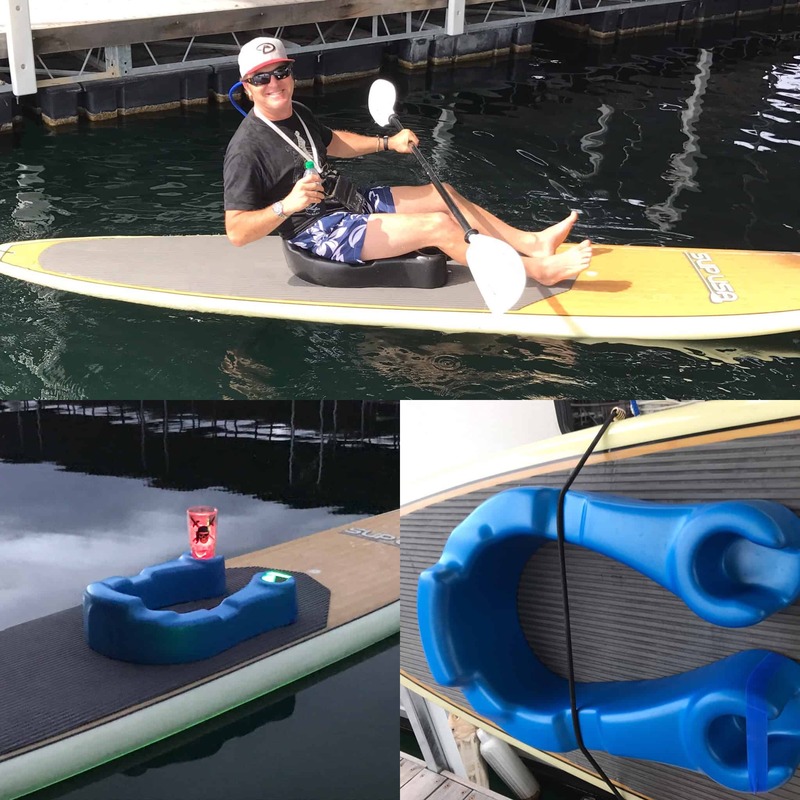 WHAT MAKES THIS INVENTION DIFFERENT FROM MANY OTHERS? 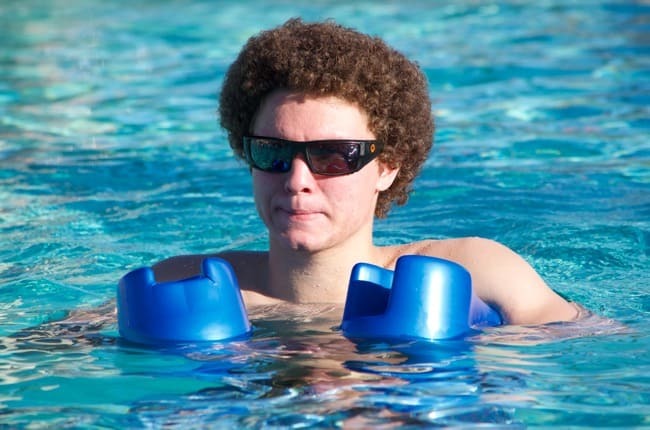 ONLY TAKES ONE THANG TO FLOAT YOU 7 DIFFERENT WAYS! 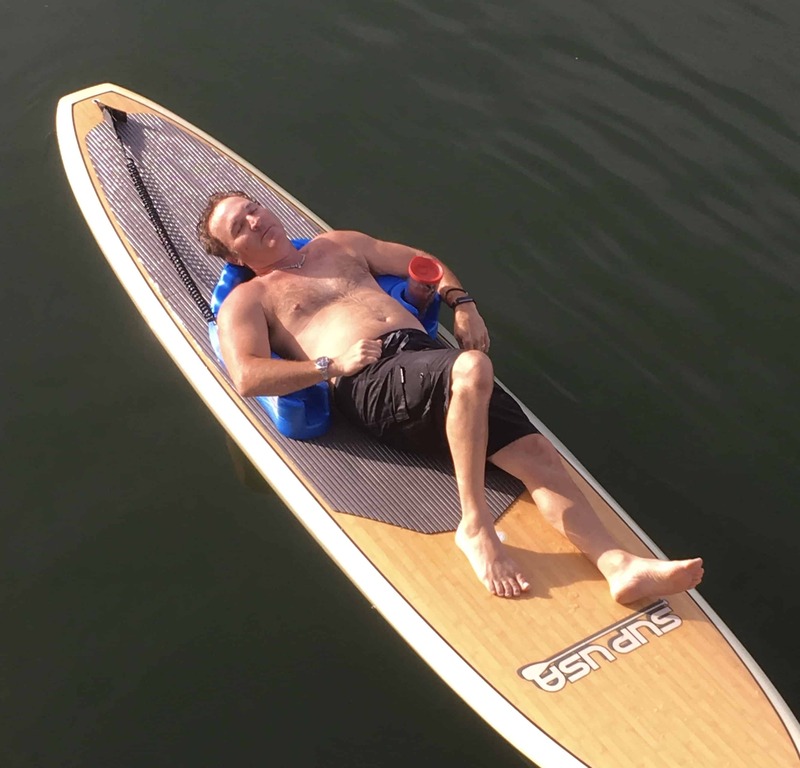 4 DIFFERENT PADDLEBOARD POSITION FOR MORE FUN IN THE SUN ON YOUR (SUP)! 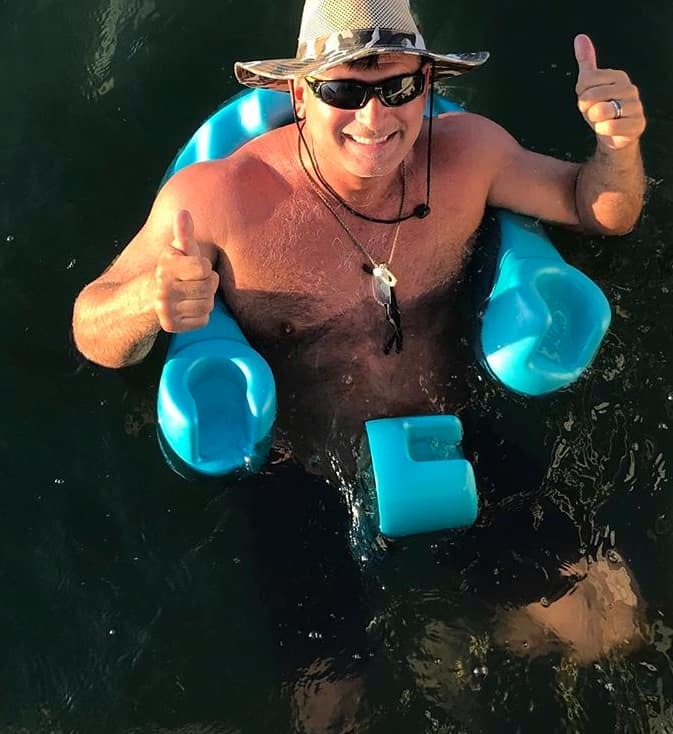 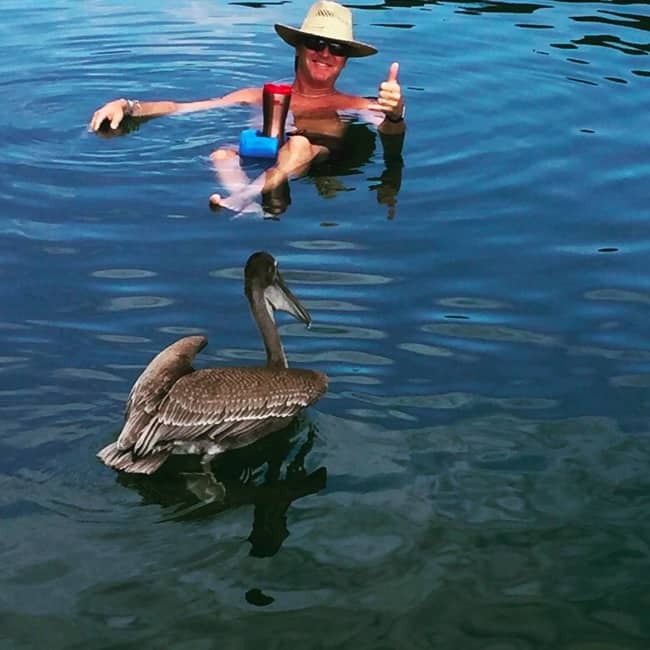 ONLY A FLOAT'N THANG HELPS YOU EVEN WHEN OUT OF THE WATER! 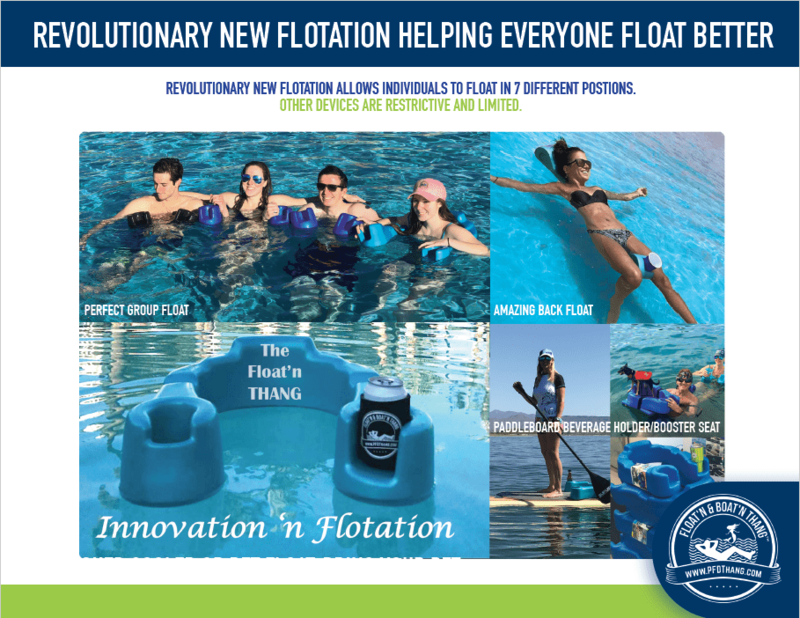 REVOLUTIONARY NEW FLOTATION THANG - ONLY THE FLOAT'N THANG CAN DO ALL THIS! 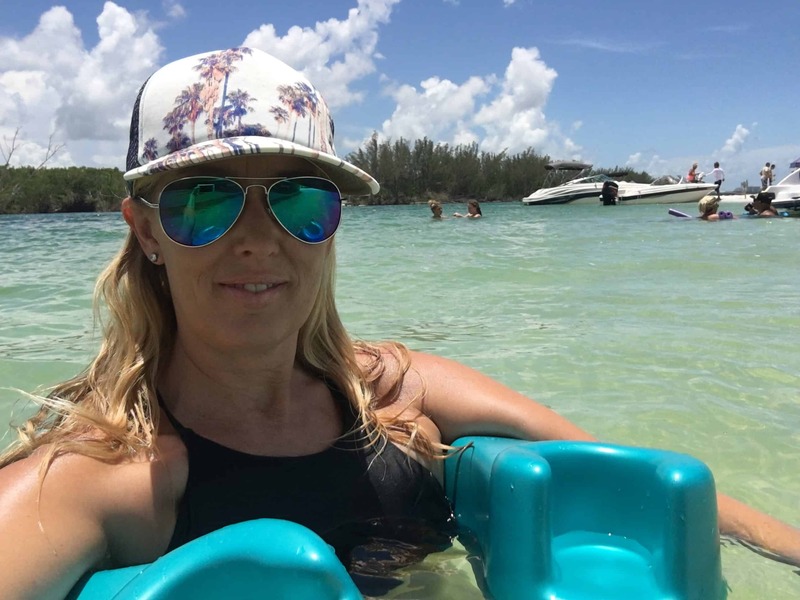 – Getting out of the water is now easier – Example of getting back on a paddle-board.